People with disability and their families – as well as jobseekers interested in working in the growing disability sector – are encouraged to attend a National Disability Insurance Scheme (NDIS) expo in Modbury on Tuesday 23 May 2017. 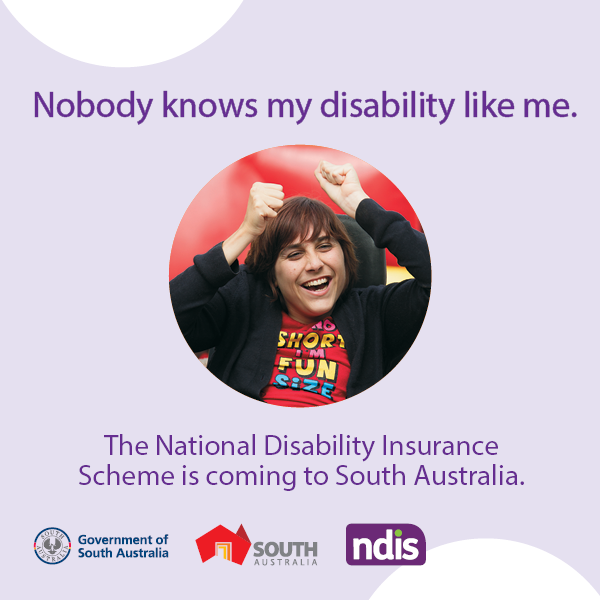 The State Government, with the support of the National Disability Insurance Agency, is hosting the expo. It is one of a series of community expos being held across the state to provide local communities an opportunity to learn more about the scheme in their region. The expo will be held at Sfera's Park Suites & Convention Centre, 191 Reservoir Road Modbury at 10.00 am, for people living in the Tea Tree Gully local government area (the second Northern Adelaide NDIS region). The NDIS will start rolling out for people aged 18 to 64 in the second Northern Adelaide region (Tea Tree Gully local government area) from 1 October 2017. The NDIS will mean up to 1,750 new jobs in disability in the Northern Adelaide region. For telephone advice on how to register online call 1800 952 962 (Monday – Friday, 9.00 am to 5.00 pm). The NDIS will be available to adults with disability living in the Tea Tree Gully local government area and in the Murray and Mallee region, from 1 October 2017.